Sagging Meniscus Press, 9781944697389, 120pp. Fiction. Women's Studies. 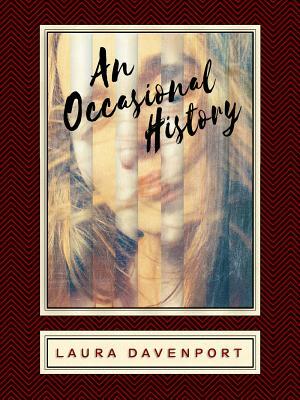 Laura Davenport's poetic and harrowing AN OCCASIONAL HISTORY investigates how language and a person's place within it come to be defined in the context of an abusive relationship--one whose terrible violence is ever so gradually revealed, as layers of language and forgetting are progressively peeled away. Through five sections of differing form, in which romance novels, the OED, and etymological histories play prominent roles, we approach the core of knowledge step by step, and come to experience not merely abuse and its ramifications, but the central role in it of how language is shaped by power relations, and vice versa. Formally unique, acutely painful yet uplifting, and exquisitely written in every detail, AN OCCASIONAL HISTORY sustains an almost magical double perspective: a deeply knowing aesthetic distance and hard-won wisdom, and an intimate, willing identification with the immediate, almost to the point of being lost within it. In AN OCCASIONAL HISTORY, as in all great writing, language and soul interrogate themselves through the power of poetry.